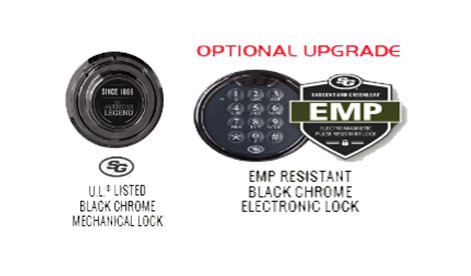 The Legacy Series comes is 3 finishes (Gunmetal, Black, and Saddle Brown) with a Black Chrome 5-Spoke Vault Handle, and a Black Chrome Mechanical/Electronic Lock. Giving these safes a great look and feel in any setting. 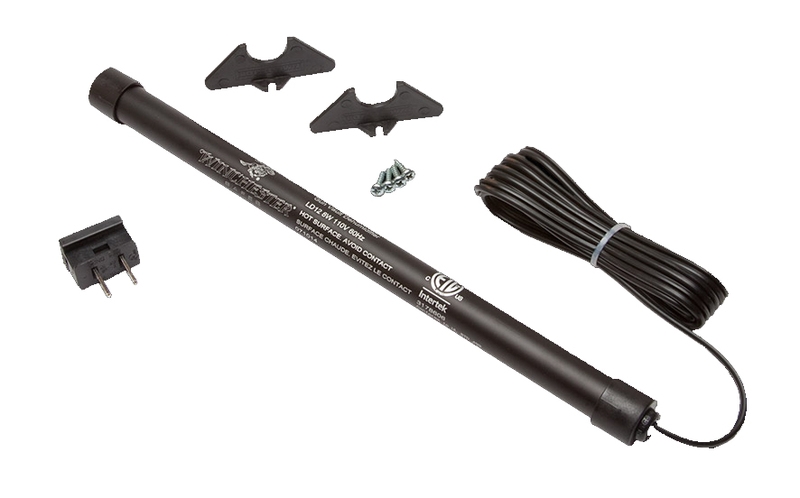 Outfit your new Winchester safe with some of our most popular accessories, all combined into our Essentials Kit. 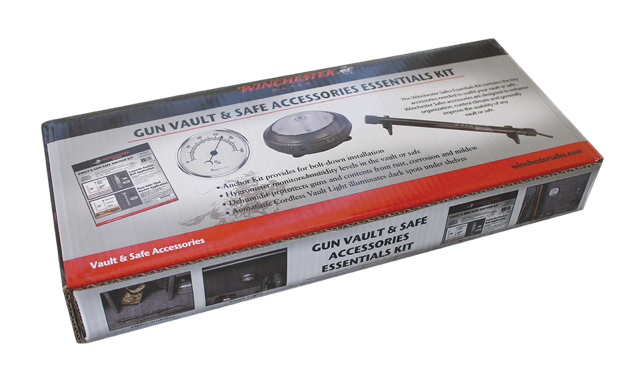 Secure your safe to any flooring with our universal Anchor Kit, regulate humidity with our Dehumidifier and Hygrometer, and place the LED Cordless Vault Light anywhere within the safe to easily light up your safe's interior. The Winchester Safes Dehumidifier protects your valuables from condensation, rust and mildew. By producing small amounts of heated air that circulates throughout interior of your safe, it helps remove moisture from the air. 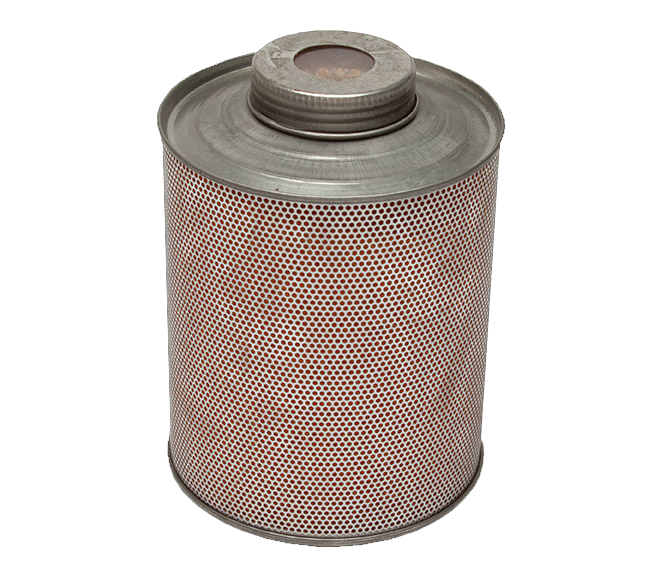 Ideal for humid environments or climates. 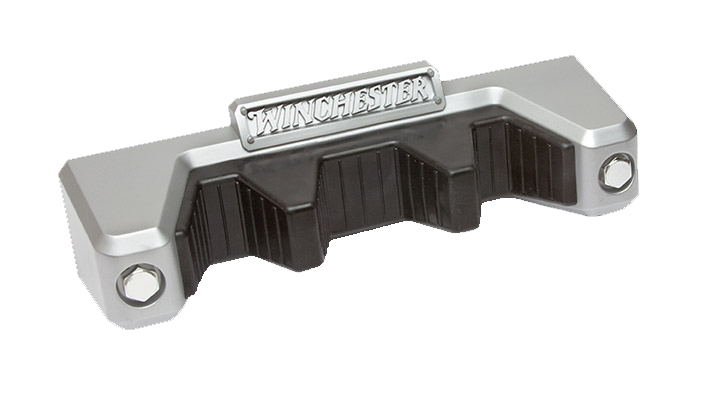 All Winchester Safes come with a small pre-formed exit for electronics cords on the back of the safe. Safes equipped with Power Docking Systems make this accessory an easy plug-and-play feature to safeguard your gun safe's contents. 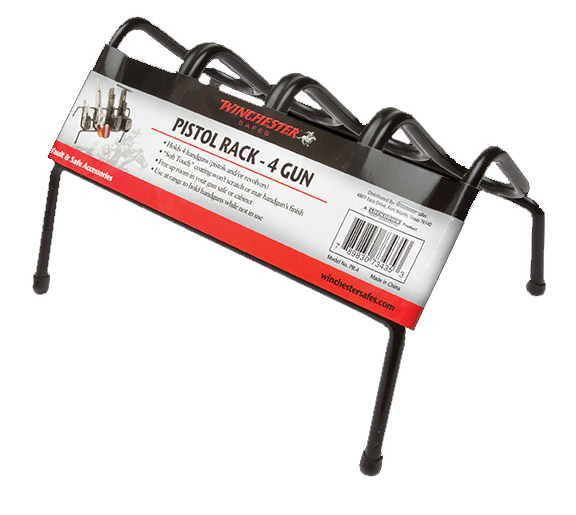 The Winchester Safes’ Pistol Rack securely holds up to four guns, and features a soft-touch coating that won’t scratch or mar the finish of your firearms. 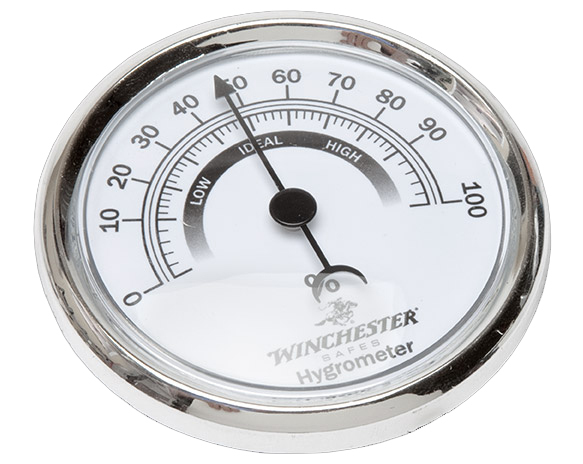 The Winchester Safes’ Hygrometer is small and easy to mount, providing accurate relative humidity readings from 0% to 100% inside a vault or gun safe. We don't know about you, but sometimes we wish we had a third hand when moving guns around in our gun safe -- especially if the gun we need is in the back and obscured by other firearms. Our Magnetic Barrel Rest solves this problem by giving you a designated place to secure a gun once you remove it from the safe. 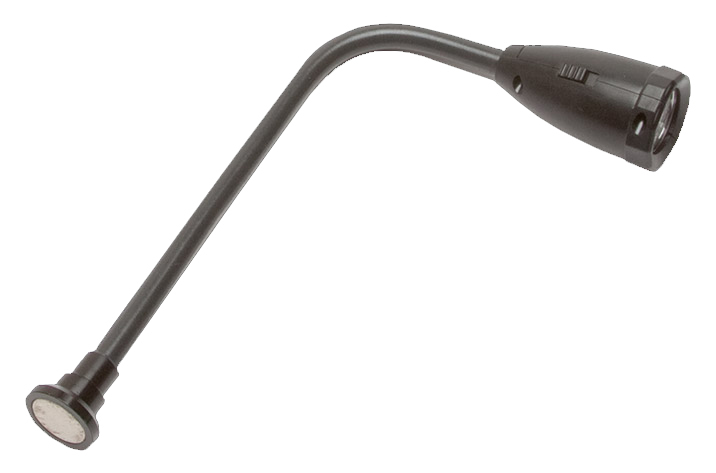 It’s a smart and convenient solution that can make handling your firearms easier and safer. The Automatic Cordless Vault Light from Winchester Safes illuminates your entire safe upon entry with an auto on/off sensor, and super bright LED bulbs so you can quickly locate exactly what you’re looking for in your gun safe, even in the dark. Winchester Safes’ Silica Gel Can absorbs moisture from the air and prevents condensation, mildew and rust from forming inside your safe or storage area. The silica crystals are easily recharged in the oven once they become fully saturated. Sometimes you need to access your safe in the dark. 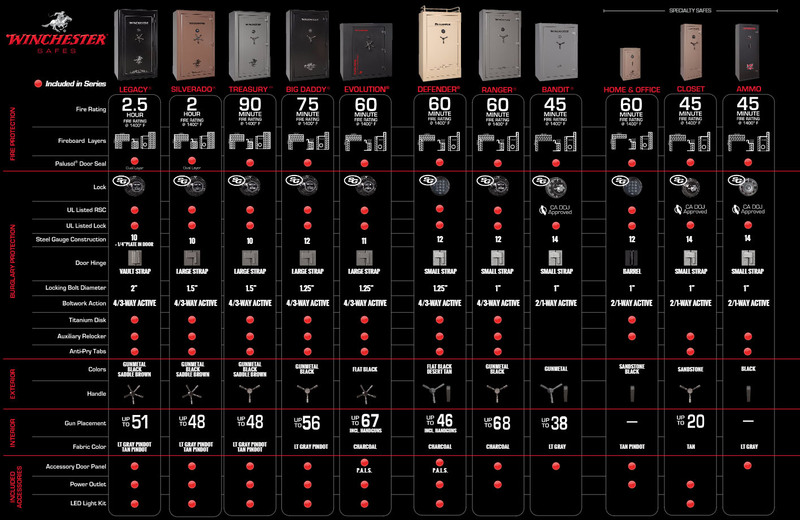 But it is next to impossible to correctly input your combination when you can’t see the dial or keypad. 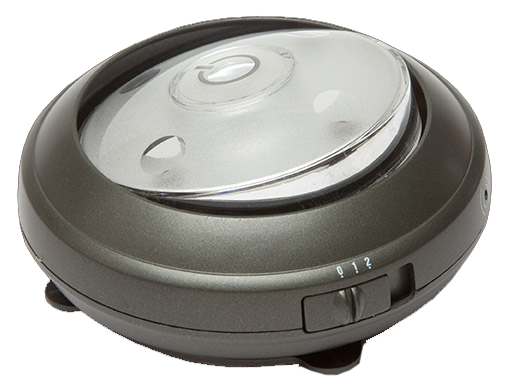 Winchester Safes’ Entry Light conveniently lights up the entire dial or keypad, allowing fast entry even in a dark room.